Announcing the Birth of Light Bringer! 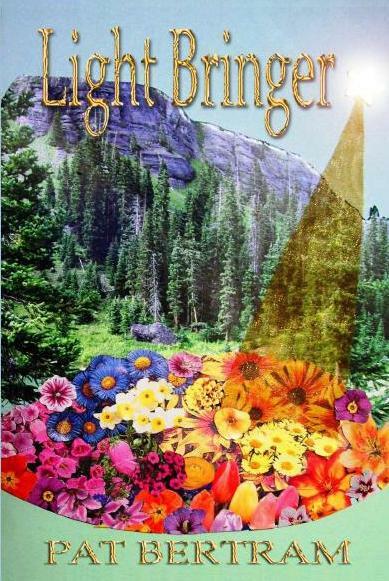 It's been twice nine months since Light Bringer was accepted for publication, but it has finally arrived!! Born on March 27, 2011, it weighs a mere one pound, and is 8.5 inches tall. Small for a human baby, but just the right size for a newborn book. I counted all it's Ts and Os, and am pleased to announce they are all there. (One defect did show up, a tiny beauty mark, or rather a lack of one -- for some reason, a period was left off on a sentence at the end of a chapter, and all the book's midwives failed to notice). Still, the newborn is beautiful, and when it has been out in the world for a while, perhaps it will make its mark. It was created out of love, and no matter what its destiny, I am proud of my newborn. Since tax season is almost here, I was gathering all of my receipts and documentation together, yesterday, and taking a look at last year’s statement, the one that shows I was gainfully employed at a day job. Actually, I was employed for most of 2010, too; but this year, I’m a full-time, self-employed writer: a first for me in thirty years of writing. I've likely forgotten some things, and there are more things I hope to do, but to adequately describe what writers really do, we need to come up with a better word . . . and I’d prefer not to use the phrase underpaid, multi-tasker, or nut case. Speaking of multi-tasking, I and Kay Stewart, will be launching our debut mysteries, The Opposite of Dark and Sitting Lady Sutra at The Fort Cafe, 742 Fort Street, Victoria on April 12th at 7 p.m. We are delighted to be joined by our friend and terrific writer, Lou Allin who will also be reading from her latest book. If you live in the area, I hope you’ll join us! We will be doing the same in Vancouver on April 27th. I’ll post details in a few days. If you don't know what a log line or logline is, Imma tell you: It's a one- or two-sentence distillation of what your story is about. It's what you memorize to say to people who ask you what your book is about, or to say at an Author's Fair when somebody hesitates in front of your table. You use it to snag attention for your book or story or screenplay or, if you write the logline before you start working, you use it to focus your mind on the heart of your story so you don't go wandering off on interesting side paths and lose your way to the end. Here's another use I've just discovered: Now, after it's published, I'm told people don't like the title of EEL'S REVERENCE. The want to call it ELL'S REVERENCE. Their minds slide right off the word EEL. Then, when they see the word is EEL, they're all, "Ewwww! Eels!" So I've had to develop a log line or tag line or whatever you want to call it: "The Eel is a place. The reverence is ... complicated." You can read more about EEL'S REVERENCE (not about eels) on my website. This week, the Association of American Publishers (AAP) issued a press release about the dramatic rise in e-book sales compared with one year ago. The report focuses on sales stats for January 2011, but I think it’s a good reflection for what’s to come. What struck me—though I shouldn’t be surprised—is the significant decrease in print sales. According to the AAP, adult hard cover sales dropped by 11.3%, adult trade paperback dropped by 19.7%, and mass market books fell by a whopping 30.9%. Yikes! This must be giving print publishers heart palpitations, unless they’re embracing the e-book market. E-book sales in January 2011 were up by a whopping 115.8% from January 2010. The children’s/young adult categories weren’t hurt quite as much. Hard covers were down by only 1.9% and trade paperbacks dropped by 17.7%. The bottom line is that print publishers who are still hesitating to publish electronic versions of books are losing out big time. As writers, it’s important that we make sure our contracts stipulate that publishers actually commit to publishing our books electronically within a specified time period. All publishers demand electronic rights these days; we need to make sure they actually commit to this new way of buying, reading, and publishing books. This week, I attended a symposium which was offered by the Writers’ Union of Canada (TWUC). The topic was “Secure Footing in a Changing Literary Landscape”, and the presenters were Ross Laird, Betsy Warland, and Kelly Duffin, the Executive Director of TWUC. In a nutshell, the symposium’s purpose was to let writers know that the way we read, publish, and market books is changing rapidly, and that writers have to make a decision: either jump on board or walk away because the old way of doing business just won’t cut it anymore. When I started writing thirty years ago, there was a feeling, whether accurate or not, that once you were lucky enough to find a publisher, you’d be taken care of; meaning that you and your work would be developed and nurtured in a team environment to produce good books. Your breakout book—the one that garnered attention and generated decent sales—would occur at around book five. About twenty years ago, all that changed. Publishing houses were either bought or merged into conglomerates driven by marketing teams who looked only at the bottom line, which was could this book make money? It was a huge change with a lot of casualties, including the beginning of the end for midlist authors. Today, technology is driving an equally huge change, and the publishing world is in a state of both turmoil and growth. As Betsy Warland pointed out, it’s all a bit scary, especially for those used to doing things the old way; but as Ross Laird indicated, it’s never been a better time to be a writer. Publishing, promoting, and networking opportunities abound as never before, and plenty of writers are taking advantage of it, successfully. Laird pointed out that writers now need a bit of technological knowledge to navigate the new landscape, but this doesn’t mean one has to turn into a geek, unless you want to. Kelly Duffin offered some worthwhile tips about what to watch out for in today’s contracts, particularly with regard to electronic rights. These days, it is virtually impossible to keep your electronic rights when signing a contract for a print book, however, there are things you can do, such as striving for a minimum of 30% royalties, and assigning a deadline for the publication of your book in electronic format. She also advised including a clause stipulating conditions under which electronic right would revert back to the author. There are many more contract tips for writers which I’d encourage all Canadian writers to familiarize yourselves with. TWUC offers a great booklet on the topic, at a reasonable price. You can find the Second Wind ebook catalog here: Second Wind at Smashwords . Select the titles you want and use coupon code RAE50 to get the discount when you check out. The sale expires 11:59pm on March 12, so hurry, you don't want to miss out, especially since my books are included in the sale! She talks about why each of these elements is important, and especially notes that using all six is the best marketing strategy to promote your books. Burke also states, however, that these things take time and attention. In my opinion, that’s where most of us fall down, not intentionally, but due to real life/family/day job circumstances. When I was working a day job, all of my free time was spent writing and catching up on household chores. Although I knew the importance of promotion, the idea of putting in time each day to promote was laughable. This became a worrisome obstacle, however, and I eventually concluded that the only way I could add regular promotion to my week’s long to-do list—and write a little more—was to cut back my working hours. Now that I’ve been writing full time for six months, my creative output has improved as has my promotion to some degree, but it still needs work. I have to confess that I only do two out of the six steps, blogging and Twitter, with any regularity. I have a Facebook page, though I don’t visit it daily, which I should. My website is a work in progress at the moment, but once it’s updated, it will also be a useful tool. My publisher is working on a book trailer for The Opposite of Dark, so the video aspect is covered. Funnily enough, a colleague recently mentioned that since I’m writing a mystery series, a newsletter might be a good idea, so I’m thinking about that too. I’ve been writing a long time, but—introverted wallflower that I am-- it’s only in the last year or two that I’ve come to fully accept the importance of marketing oneself. Happily, all of the steps Burke listed can be done from home but, even as a full time writer, the question still remains, how much time should I spend on marketing versus writing, especially when putting out a book a year? I'm one of those who can only produce polished work after multiple drafts, and each one takes time. It’s a question I don’t have a clear answer for yet. Maybe I will in another year.